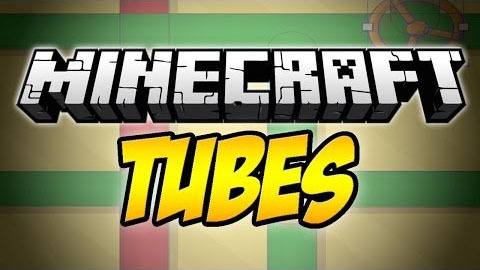 Tubes Mods is designed to supply the best item transport and sorting solution using the awesome Forge Multipart API. Its special feature is that there are many more types of tubes for all sorts of uses, but these tubes mainly work somewhat like the pneumatic tubes in RedPower. Item Transport: Items in tubes seek the shortest path to an inventory and items cannot be accidentally dropped! NEI Drag and Drop Integration: If you have NEI installed, you can drag from the items list into a filter slot to set its even when in recipe mode! Fluid support: You can move fluids around in a similar way to items, even at the same time. Smelt a bucket of milk to get milk curd. Combine that milk curd with coal/charcoal, gunpowder, and 1 bucket’s worth of water (can use forestry cans and other containers like it) to get 8 plastic pellets. You can use MFR plastic sheets anywhere Tubes plastic is used. Compresses items that pass through it to specific stack sizes. Useful for reducing lag. This tube allows you to choose what destination an item will have. When deciding the path for an item to take, the shortest valid path will still be chosen.